In our busy, modern lives, the need to slow down is less about changing our pace, but more about awareness. When I need to get away from the distractions of everyday living, I like to turn to nature. When I'm outdoors and allow myself to tune into the rhythms of the earth, I finally feel connected. Lately, most of my trips have been camping because it allows me to center and really tune into who I am as this soul, in this body of mine. My husband and I have a few favorite camping spots in New England, but this summer I was yearning to travel to Acadia National Park for the first time. Acadia is one of those bucket-lists types of places; somewhere you just have to see for yourself. Chris and I decided to leave for the trip mid-week to avoid some traffic and crowds. Acadia was going to be the furthest away we had camped together so far, about a 5 and a half hour drive. Rather than rush, we did a one night stopover in Freeport at Recompense Shore Campground. It was a great spot, located right on the water. What makes it really unique is that it's right next to Wolfeneck Farm; you can get farmland and ocean views in one spot. 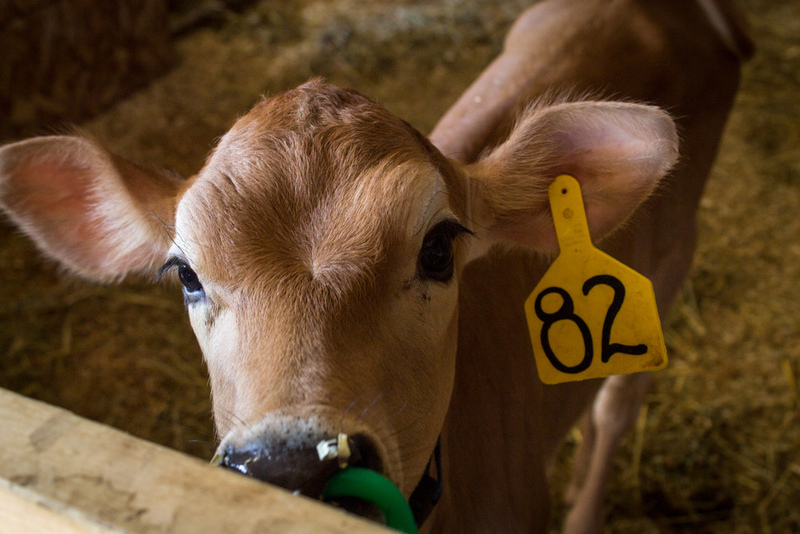 The afternoon we were there, we got to bike around, check out their farm stand will locally grown veggies, see the farm animals (like this adorable baby cow! ), and go fishing in the ocean. The campground in Freeport was beautiful, but frankly, I had my heart set on getting to Mt Desert Island as soon as we could so there would be plenty of time to explore. We arrived just around noon, and after grabbing some fresh seafood at Beal's Lobster Pier, we headed to our 2nd campsite of the trip. The planner I am, I had done plenty of homework when it came to finding a campsite. I discovered a spot on Somes Sound, that offered waterfront sites and booked it early. The pictures I saw online were beautiful, but was pleased that it was even better in person. This camp site is officially my favorite spot to date. It wasn't as private as some of the other places we've been but the view was amazing and we only had a few neighbors who were all pretty quite. Chris could fish for striped bass while I sat on our little platform basking in the sun and drinking wine. If it wasn't for the 47,000 acres of National Park that was on the island, we wouldn't have any reason to leave. But, I'm glad we did because Acadia is magical. For instance, take Cadillac Mountain. It's the highest point along the North Atlantic seaboard and the first place to see the sunrise in the US through half of the year. After setting up camp, we took a drive over to the mountain to get a lay of the land. As we drove up towards the summit, I could feel the prana or energy or whatever you want to call it wake up inside me. It was kind of like having butterflies in your stomach, but without the nervous. Kind of like being anxious for something but without being stressed. It's hard to put in words exactly, but I just felt alive; completely connected to my spirit. If you've been there, you'll know what I mean. Three and a half days isn't a lot of time to be in Acadia, but we did our best to fit as much in without burning ourselves out. Chris is happiest fishing and Mt Desert Island has several ponds and lakes to fresh water fish. Although it was a bit foggy and overcast, our 2nd day we rented a canoe and fished for small mouth bass at (Great) Long Pond. The fishing itself was great, but so was just paddling around the pond. There were many special moments on this trip, but one of the most memorable ones was when a doe came down to the water as we fished along the shore. She was beautiful. What's great about Acadia, is that nearly everywhere you go is picturesque. Our third day, we took to the Carriage Roads for a bike ride. There are over 40 miles of trails, but we just did a leisurely ride around Eagle Lake and to Bubble Pond. Again, so pretty. The waters were the clearest waters I've seen, and we were happily surprised to know that you could still fish in them. After our bike ride, we went back to the car, grabbed our rods and made a few casts on Eagle Lake. We didn't catch anything. Not even a bite. But it didn't matter. It was so serene and peaceful. We did get to see a family of loons swim by and later, a large bird in the sky we suspected was a bald eagle (although we definitely saw one the next day fly over our campsite). I'm the type of traveler who wants to do and see everything; and it often leaves me feeling disappointed because I'm worried I might miss out on something. A lot of the trip I kept thinking, "I wish I could be here longer; there is so much more I want to do", but eventually the power of Acadia's beauty reminded me that everything I needed was right there. Just sit there and breathe. Be. Watching the sunrise back at the campsite was certainly the best and most profound part of the trip. I am not an earlier riser, yet when I'm camping I have no problem waking up at the crack of dawn. When you spend time outdoors and camp, your body resets itself to the rhythms of nature. It wants to wake when the sun rises, and go to sleep once it sets. It's no surprise I feel so rejuvenated after a camping trip, because my body is getting the rest its supposed to have. 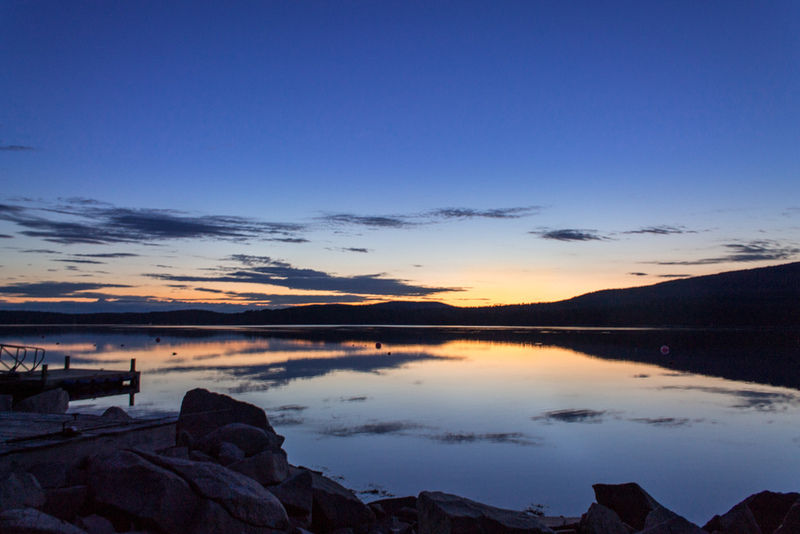 One morning in Acadia, I woke up at 4:30am, still well before the sun was going to rise. I still felt sleepy, but was interested in the fact it seemed much lighter outside despite how early it was. I peaked outside and saw one of the prettiest skies I had ever witnessed. The light of the sun was just beginning to filter over from the Atlantic towards the coast. A warm, pinkish-purplish glow was starting to break up the deep dark indigo night. Rather than go back to bed, I decided to sit and watch. If you've ever waited to watch the sunrise, its pretty remarkable how much the sky changes in the hour leading up to the event. As I watched the sun come up over Norumbega Mountain along Somes Sound those next mornings, I realized how lucky I was to be there. The sun rising is nothing new. For as long as this planet has been a cluster of matter, revolving around the sun, there has been a sunrise. Every day I have been alive, there has been a sunrise. Yet, in my regular day-to-day life, I've completely under appreciated the magnificence of this event. That's not because it wasn't happening, but rather I wasn't present in the moment. How much have I missed, racing through life, not smelling the roses? I left Acadia beginning to see the world in a brighter light; noticing more the subtle, but amazing things this world has to offer; and being able to slow down to enjoy those small precious moments like the sunrise, watching a loon family swim by, seeing the fog roll in after the rain clears, and, without fail, the sunrising again the following day.